Spiritual Awakening is an Inside Job! Spiritual Awakening is both a physical and energetic process. Consciously working with your body, mind and soul allows for an expansion of your awareness and connection to source energy. Below is a list of Single MP3 Activations. These are High Frequency Energy Activations which help to upgrade your energetic systems and body to hold and interpret more Light. Each activation is unique. Working within the field of Quantum Light and Sound, Raquel brings through the latest energy upgrades, codes and infusions of Light to help you raise your frequency. All that is required is an open heart and a willingness to expand your Light and perceptions. Completely guided by Spirit and in the Now moment, each activation is designed to help you integrate Light as information, knowledge and wisdom. These activations are truly a tune up for your Light Body. As you increase your Light quotient, your matrix requires upgrades to properly integrate the Light information and codes. Your body is a bio-electrical computer and it needs maintenance to keep it functioning at its optimum level. Explore and feel into which ones are right for you. In an unprecedented dispensation from the Karmic Board and Lords of Karma, the opportunity for a Soul Group Clearing from this lifetime, parallel and alternate realities, past lives and lifetimes in other systems is possible within the NEXT 7 DAY WINDOW leading up to the 3.3.3 Portal Gateway. Each night, between Feb 23 and March 3, I will work with you in the dream state both on an individual and soul group basis. It is essential to clear on a grand scale to assist the collective consciousness on the planet. Many aspects of your unique Divine Signature Frequency will merge as multiple timelines collapse prior to stepping through the 3.3.3 Portal Gateway. The 3.3.3 gateway is a graduation and an opportunity to step into a new timeline trajectory and reality of Light. This activation brings in a new mechanism to help you identify when your energy, emotions and thoughts are out of alignment. This allows for a deeper level of self awareness to help you "self-correct" your energy and focus to align with your highest potential. This includes a whole new system which connects into the Quantum Field of Potentials and helps you align in the Now moment. It's time to deepen your connection with Gaia, and remember who you are as unconditional love and a creator of your own reality. This activation brings through a KEY upshift to our Divine Vehicle and enhances the ascension process we are undergoing at this time in cosmic history. As Gaia upgrades her crystalline core frequencies, a new level of interface is available. This activation brings forth an entirely new neural-network interface with the Crystalline Core of Gaia and the Cosmic Heart frequency coming through the Galactic core. This network of Light provides a new level of connection to Gaia's data stream as a Cosmic Star Being to help open up new pathways for conscious information and data to flow into your reality. As we step into the next "phase" of consciousness, our ability as way-showers and Light workers expands and opens up access to new perceptions, concepts and ways of "thinking outside the box" to create our new reality. This activation is a must for any serious Lightworker wanting to manifest more effectively through their heart to create in cosmic flow. As we enter the first eclipse of 2019, we are undergoing a reset. This activation works to activate new levels of your interface with the Cosmic Heart and Gaian Heart frequency and codes to increase your capacity to receive valuable information from Gaia's inner libraries and more. A reconfiguration and alignment of both the Galactic and Earth star interface will bring more of your innate skills to the forefront. This eclipse marks the beginning of a new trajectory for many as you align even more to your truth and purpose. This is an essential activation to help you release all you can before we enter into the next cycle of energy and the new year. The energy goes deep to help purge patterns, belief systems, memories, and conditioning from both your lineage and the collective. This is preparing your body to receive more of your own soul's Light. Working with the Cosmic Heart and Your Own Signature Frequency, new levels of your Divine Essence are anchored into your physical reality allowing for a deep and profound shift. We are entering an entirely new phase of the awakening process. With the 11:11:11 Portal we began accessing levels of Light consciousness which have not been available prior. This activation begins the download of a new blueprint to access a new level of Quantum Light. Working with the Architects of the Divine Vehicle, the instructional codes begin to anchor into the physical body. The organs, starting with the heart, are upgraded to interface with this new level of consciousness. The Cosmic Buddha, The Divine Cosmic Mother and 33 team members of the Architects of the Divine Vehicle worked together to activation and initiate 11 Mastery Key Codes into our matrix of Light. The 11:11:11 Portal opens access to the Divine Cosmic Heart for the first time in 25,920 years. We are at the dawn of a new reality. This activation is beyond powerful as we embody upgrades and key codes to upshift our ability to anchor the new frequencies onto the planet. A must for anyone who is serious about shifting consciousness for humanity. This activation is a sacred ceremony. Working with the indigenous elders, goddesses, whales and dolphins within the Pacific Rim/Ring of Fire, new codes of Light to bring in your ancient wisdom were etched into your etheric bodies of Light. As we continue to be the living bridge between 3D and 5D realities, this ceremony activates wisdom from the past, present and future to allow us to walk between the worlds. Multiple codes of remembering are ignited to help you embody higher wisdom with ease and grace. This activation focuses on balancing the electric and magnetic frequencies in our matrix of Light. A group six council members from Andromeda provided support and Light Codes to assist us with stepping into our personal mastery. Providing support and love and remembering their own journey into a balanced state of being, they honor our journey. Balance in our thoughts and actions is key and the codes provided help us navigate our daily life with more conscious awareness in this time of chaotic polarity. This activation brings a much needed balance and new levels of interface to anchor Light as we continue to move into higher frequencies of existence. With the Cosmic frequencies of the Buddha, Quan Yin, The Christ Consciousness and Magdalene Consciousness, a new level of interface was brought in to provide Balance. Yin, Yang; Divine Masculine and Feminine; electric and magnetic were spiraled through multiple levels of your systems igniting a new way of stabilizing and accessing the codes streaming onto the planet. Encompassing 1D through 15D, the mechanics to stream Light information and wisdom is anchored within your physical and energetic matrix. For serious Lightworkers, this activation is a must to provide the foundation to move into expanded states of awareness and service. This activation brings a deep level of clearing to propel you into your next level of mastery. Any residual connections to the "players" in your hologram who are assisting you with mastering the lessons you're now ready to embody are released. Working with the Cosmic Buddha, Quan Yin and Athena frequencies, a new blueprint of Light was brought into your foundational base chakra mechanism connecting you to the Universal Cosmic Heart frequencies of Light. This new blueprint houses functional interfaces to receive and utilize the Higher Frequencies that are flowing onto the planet, such as the photon, gamma, etc. This brings the ability for your systems to use the energy and bring you into higher states of wisdom and knowledge. This activation brought the next level of coherence and interface between the Earth Star and Galactic Star communication network. As the Earth Star expanded to four times it's current state, the information flowing in from Gaia for your interpretation and enlightenment increases. As Gaia continues her ascension process, more information continues to become available. The Earth Star provides the mechanics for "sorting through" the onslaught of data to focus the appropriate energies that your soul needs to remember your truth and skills. A new bridge of communication between your Earth Star and your Galactic Star is formed which will allow the information to come into your conscious awareness with more ease and grace. This activation removes distorted timelines from your physical and energetic matrix of Light. These distortions have been working like viruses within our supercomputer to keep us in illusion and limiting our natural ability as a Sovereign Being of Light. This Lion's Gate Portal Gateway provides the first clear connection to higher timelines of Universal and Cosmic truth within our lifetime. This is due to the removal of the "scattering signal" back in April of this year, when the first level of the mass consciousness grid system was disabled. Illusions that have been holding us in a state of belief that are in direct conflict with our truth can be release and reprogramed. We are capable of shifting our reality, our bodies health and well-being and more, as the distorted beliefs have less of a foundation to work from. We infuse streams of higher true and cosmic law timelines to enable our Multidimensional capacity to create in the hologram. This activation goes deep into D1 and D2 levels of your physical and energetic bodies to clear deeply held distortions, so we can process Light effectively and in new ways. By making adjustments on these foundational levels, the changes echo throughout the framework of our matrix allowing Light information to stream in and produce shifts in our perceptions. Shifts at this level of density makes "space" to infuse clearer and more refined levels of Light. As we expand our capacity, we can more effectively build the bridge in our consciousness from 3D to 5D and create more consciously. This is required to create the "New World".. which always begins within. We are in the process of shifting our supercomputer of Light, i.e our Divine vehicle (body) into yet another level of functionality. This activation works with all of the systems within your physical form to up-level, enhancing your ability to operate from a new perspective. Support is provided for each organ, gland and system, as it continues to evolve into the next level of multidimensional functionality. With the codes of Light available during this gateway, old grid systems and templates within your matrix holding distorted memories and stories are shattering, allowing for a new remembering of deeper truths to surface. This includes "collective" stories around Atlantis and Egypt and your roles during those lifetimes. New levels of understanding and skill sets become available to expand your belief around what is real and possible in our physical reality. This description only scratches the surface of what actually transpires during this activation. This activation is one that I highly recommend to connect you to the new harmonics and timeline. This activation brings forth important ""Keys"" to enable a recalibration of your physical body and energetic systems. Working at the 1D level of density in your body, the subatomic structures are expanded to allow a clearing and reconfiguration at the matter/anti-mater and now moment or quantum level. Working like a centrifugal force, lower frequencies and patterns are stripped away, allowing for a them to unite back together at a new frequency band of conscious Light. This allows a connection and shift from 1D all the way to 33D... making a quantum shift possible. This activation brings in 3 Key Master Codes of Light to assist your bio-circuitry with interfacing with the Quantum Field of Light. As we step into deeper layers of mastery, we become aware of the patterns that no longer serve us, keeping us tied into drama that we simply do not need to be involved with. Connecting to Gaia’s Crystalline Core is imperative to the ascension process and the advancement of our physical and cellular structure. She has been upshifting into higher and higher frequencies and so she can help bring us there with her. The cosmic energies are incredibly fertile right now and there is support for us during our journey into our hearts, dreams and our truest desires. "During these times of massive upshifting, it is important to remain centered and connected in your heart each and every day. This 5-5 Portal, coming via the Great Central Sun, brings forth memories and codes that we’ve not had access to before now to balance our ability to stay in optimistic as a automatic and ""hard-wired"" response to our everyday life. This is an opportunity to shift our perspective towards a sense of optimism which will have a massive impact on our outer world." 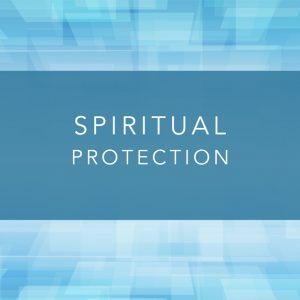 "This activation helps you to release existing patterns in your subconscious and energetics that keep you from fully embodying our Divinely Compassionate Warrior. Calling forward this warrior energy brings a new depth of action into your life, moving you out of introspection and into the fiery movement of tangible action. This activation helps you to step into a greater degree of strength, courage, and confidence, so that you take focused action to improve your life." "This activation comes at a time when we are being asked to hold an immense amount of Light so that mankind can clear, shift and transform. As Gaia continues to evolve and hold the “space” for humanity to awaken, the cosmic energies continue to amplify and our human Divine vehicle continues to be “stretched” to the max. Our nervous systems are evolving to function at the highest level with all the powerful cosmic influences coming onto the planet. As a unified field of Lightworkers, we collectively and individually strengthen the ability to run and hold higher Light frequencies which are restructuring the fabric of our reality. This ‘process’ continues to demand we upgrade or systems. Collaborating with Gaia, our capacity to hold higher frequencies are expanded as our personalities and egos surrender to the knowledge we are working during our dream state as a collective whole. Focusing on the big picture, our individualized experience is focused on maintaining the body while the nervous system evolved into the next phase of crystalline functionality. This activation is essential to hold and continue upgrading our capacity to service as way showers in this time of deep transformation." "In this time of great transformation, we must remain deeply connected to the heart of Great Mother Gaia and in partnership with the frequencies that are coming in from the higher realms of Light. The fact that we are even here on this planet speaks volumes about our innate mastery as soul beings. The codes that are coming in are merely acting to ignite the codes that are already present in our DNA. These codes are dipping down in the primal ‘hardwiring’ of our physical bodies & brains so that we may begin to move out of a deeply embedded and hard-wired level of separation, into the instinctual knowing that we are always connected to source. Our body, acting as a conduit of universal truth and love, is activated at an entirely new level. Our ability to flow Universal Life Force energy into our lives and the world is increasing. This activation works to amplify our bodies' natural ability to be the source of Life Force Energy in positive ways." "With the continuous realignment that is necessary to stay fully on your highest path, surrendering old desires, potentials and situations is never easy. There is a new understanding of alignment and essence resting just outside of our conscious awareness. Working with the Elohim, this activation brings in new Light Codes, wisdom and information to securely move you into a new "upleveled" path of service and joy. This activation is designed to help us move closer and into that new path. In order to step into that next level of service, we must first surrender our past and allow our truth to evolve. Supporting you from the higher dimensions to release attachments to your past, these codes of Light help to establish a strong knowing within your heart to boldly move forward on your path. We are fully supported in this new alignment so that we can help fast-track the collective awakening." "Gaia continues to upshift her frequency, as we move into higher and higher states of consciousness. Sounding a new level of Light wave frequency from the crystalline core, her cellular memory unlocks a level of her Divine Goddess Energy and Light. This activation works to align you with her new harmonics. Working with the Hathor's, Lumeruian's, Ancient Hopi and Tibetan Elders, new Diamond Light Codes from Gaia's crystalline heart and the Cosmic Heart merge within your heart chakra to embody this new/ancient Goddess Light. As if awakening to their destiny, the seahorses within the oceans play a role in birthing this ancient energy into the quantum fields to help us remember our natural ability to manifest. " "This activation provides the support to integrate New Light Codes from the 33rd Dimension which became accessible during the Eclipse Cosmic Window. The codes trigger memory within your DNA of lifetimes on Gaia and other systems when you had full domain over your thoughts and emotions. Accessing training from experiences in Atlantis and as a Tibetan Monk, your body structures continue to upshift and recalibrate to support mastery in this lifetime. This may instigate a deep purging of the body. In addition, you may find yourself needing more silence and meditation as your skills of mastering your emotions and thoughts heightens." "The Total Lunar Eclipse is providing a great gateway and opportunity to upshift our level of Self Love and Confidence. This activation brings through new Sacred Geometries of Light through the portal of your own heart to hold the next level of wisdom and mastery within your Matrix of Light. Light Wisdom comes in from parallel and alternate realities, source systems, star systems and more from your own Unique Signature Frequency to embed within your cellular structure. 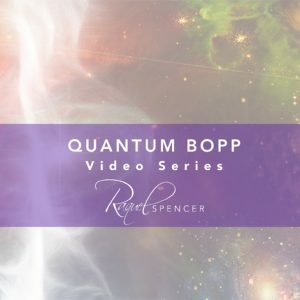 These streams of Light bring templates, unique to/for you, to consciously utilize the wisdom and mastery you hold throughout different spectrums of your existence. Hence, merging your wisdom into this timeline and incarnation. Self Love and Self Awareness are key to embodying more of your true essence of Light!" "As we come out of the first gateway of 2018, the energies coming in from the Cosmos are fully supporting this deep transition of stepping into our personal Sacredness. This activation is the first of what will most likely be many in 2018 that focus on initiating your ability to embody a new level of Sacredness within. Assistance from the Elohim, Hathor, Maya Angelou, Divine Mother, the Magdalene, and Ascended Master Walt Disney were all present during the initiation, witnessing and holding space for each of us. This activation also brought through Diamond code Sacred Geometry. This code activates your cellular memory, while also bringing forth a clearing for your ancestral lineage to enhance the clarity of your true Divine Nature. " This activation of multidimensional Light is bringing in the new templates and blueprints that will set the stage for the next 12 months. You are being asked to expand to be able to experience a new level of the sacredness within your daily life. In truth, you are a deeply sacred being and it is now time to embrace and activate this truth at a much more profound level. It is time to embody an intimate understand of sacredness in these modern times. There is a great deal of emotional energy coming to the surface. This is a great opportunity to shift these old energetic patterns not only for ourselves, but for our family, friends, and even the collective whole of humanity. Our innate innocence is coming forward to be renewed from deep within our being. As we clear, we open up the space within our matrix of Light for new, higher frequencies of Light to embody. We are an ever evolving human. Each layer, each level of clearing opens up new potentials to co-create an even more magical life than we can imagine. We are opening our systems and refining the frequencies of GRATITUDE that we emanate out into the Quantum Field of Potentiality. This brings forth and allows for a deepening of connection and co-creative ability. There is an upshift of our physical bodies with the universal vibration that we collectively call ‘Gratitude’, as we disconnect from the lower vibrations that are so present around the globe. This upshift is actually moving into the quantum field and influencing the blueprints that you have been emanating. With this upshift, you begin to feel assured that you are sending out frequencies that are truly aligned with your higher heart’s true desire. The 11:11 Portal provides a unique binary opening throughout the systems of Light. Opening gateways of access to your own unique signature frequency of Light in our galaxy and universe, this activation provides the energetic support to embody your mastery at a new level. As our perception of time shifts and changes, our skills as co-creators must increase to enhance our conscious creation. We can no longer be ""unaware or unconscious"" of our thoughts and emotions. Bringing in new templates and energetic codes, your skills to create from a more aware level is enhanced. Each of us has the responsibility to create our life in accordance with the truth that we are multidimensional masters of Light. Enjoy this activation and step into a new level of personal mastery! There is always a steady stream of guidance coming into our fields. It can often go unnoticed or unheeded in the face of our daily lives. This activation of multidimensional Light retrains our systems to more effectively receive, hear and act upon the guidance that is coming from your Higher Self and Source. Our ability to receive and live from our own guidance activates and amplifies our abilities to manifest with more ease and grace. Gratitude is always the greatest vessel to receive guidance. Living from a place of gratitude activates the neural pathways and circuitry in your system to strengthen the signal. This "training" period is all about strengthening our response time to even the smallest of guidance coming through at any given moment. Listen and follow your guidance impeccably! We are stepping into the powerful 10-10 portal in this holographic experience on planet Earth. One of the most powerful and important dates of 2017, the 10:10 is truly a new beginning setting the stage for a true spiraling up in our evolutionary awareness. This portal is so powerful, it is being called a Cosmic Convergence. I'm surprised more people are not speaking of the magnitude of this portal date. It truly is supporting our evolution on multiple levels! Opening communication through many gateways, our Divine Vehicle upshifts to translate new levels of personal awareness and more. It is wise to set our intentions to be as receptive to this experience as possible over the next 72 hours. The first hour is focused on your body and fields. The last 30 minutes is group planetary work to assist all of humanity to receive the balancing energies from the cosmos during this gateway of the Autumnal Equinox. "The equinox energy provides a powerful opportunity to upgrade our chakra systems and energetic fields in order to provide balance in our lives. Experience a full body overhaul as each of your primary chakra's, along with your nervous system, auric fields and scalar wave interfaces move into a new level of balance and harmony. The first hour is focused on your body and fields. The last 30 minutes is group planetary work to assist all of humanity to receive the balancing energies from the cosmos during this gateway of the Autumnal Equinox." "With our many hearts combined, we have the power to shift the programs that have been running from the lower human experiences of greed and separation and transform them into the Light, Love, Compassion, and Cooperation. We are asked to amplify the highest frequencies that have the potential to bring humanity together as we rebuild from the chaos that is so prevalent on the planet. It is the power of our Love for each and every soul on this planet that can immediately upshift those that are sitting on the threshold of awakening and ultimately our collective experience. This is truly service to humanity." "The reset our operating system is going through takes another major upshift as this activation brings through deep reconfigurations at the adamantine level of our cellular structures. The Cosmic Buddha, the Grandmothers of Mu and the Architects of the Divine Vehicle all came through indicating the magnitude of this upgrade. Our Higher Selves, working with the Cosmic Buddha went through a prioritization process to identify the gifts and wisdom which will bring about the greatest shift to be downloaded into the matrix of Light. It’s imperative that our ego is ‘out of the way’ and that our heart guides the process for this reboot. This is a time to honor and acknowledge the natural gifts that each of us possess. Often times, they are so innate to us that they are overlooked as anything special. We are asked to break through limiting beliefs we’ve adopted in our lives and to embrace our gifts and our role as way showers." This Lion’s Gate Portal is bringing through the infusion of a new software of Light. An upgrade of this level is designed to prepare our systems and orient us toward a whole new energetic operating system. This upgrade is similar to the magnitude of change from a DOS based system to an Icon based system we experienced in the computer industry. Do you remember how it (that shift) changed the way we thought about computers? It made the interface so much easier to navigate! This interface is literally shifting the way we will perceive and experience the world both on a personal and a global level. This is truly part one of two, with the Total Solar Eclipse activation providing the next upgrade to total reboot your system. This activation brings an upgrade and a powerful reset to our circuity, expanding our connection to the Cosmic Heart, Gaia's Heart and to all our brother and sisters of Light incarnate around the globe. As we continue in this evolutionary process, all of our consciousness must illuminate through our heart. The HEART is our personal guidance system and filter, in which new levels of personal freedom, expansion and awareness will be realized. As the reset to our circuity continues, the ability to live from our heart consciousness and wisdom becomes stronger, more natural and automatic. This activation sparks a new ability to enhance our capacity for creation and shorten the space-time between conscious thought and it’s manifestation into physical reality. Working to disentangle from the man-made structures of interference between us and the quantum fields, this activation upgrades our matrix of Light that we may have a clear channel to communicate. As our body works to integrate these new capacities, we are given some gentle support for our physical body and are invited to calibrate our intentions around the desired feelings such as joy, as opposed to the material world. This activation connects us to the instinctual centers of the Earths energy grid in order to help protect us from man-made energetic interferences. A large toroidal field is activated within our own matrix of Light to neutralize distortion and static in our fields. This field creates a new level of freedom from artificially created magnetic/energetics so that we have greater access higher levels of Light information and wisdom. This activation is tapping us back into the instinctual centers of the energy grid of planet Earth in order to help protect us from man-made energetic interference that may be corrupting our fields. A larger toroidal field begins to become activated to help with the clearing of distortion and static in our fields. This field is creating a new level of freedom from the artificially created distortions so that we have greater access to the natural energies on the planet. Our lives are created each day by the choices we make. Listening to your inner guidance is essential. This activation opens up conscious connection between your heart chakra and your base chakra to allow a stronger correlation between your desires and your ability to manifest those desires. With this upgrade, your ability to know when you are out of alignment will become stronger, assisting you to shift and self-correct your course with more ease and grace. Sometimes it's just as important to know when we are out of alignment, as it is to know when we are. Discomfort is a great motivator! In this activation, we are taught how to access a greater alignment with our higher-self. Our greatest connection to source comes through the portal of our heart. When we are in alignment with our higher-self, we are tapped into a greater ability to speak our soul’s truth and to live from our true heart’s desire. Our ability to ask the right questions becomes paramount; as does our willingness to listen and receive the answers. Raquel also shares the importance of our thoughts and our language as it pertains to the manifestation of our hearts desire into the physical. As Gaia continues to evolve, she is providing the energy and platform for humanity to awaken and heal at very deep levels. A loving sense of support is felt as we are held in the warmth of the bosom of mother Gaia. This activation works to provide deep healing around distortions, drama, trauma or dis-harmonic energies with your biological birth mother. Working with the energy of the Divine Feminine from within the womb of Gaia, we unlock our own Akashic Records held within our DNA to heal at a very profound, "to the bone" level. Unlocking information from within our DNA, visions from passed lives old patterns, pain and distortions for healing surface. As we heal and release distortions within our own fields, we provide the opportunity for others to heal as well. This activation may bring up unconscious emotions locked in your body. Deep and powerful, this transformation is completed by a beautifully joyous ‘rain shower’ of light and love. Joy abounds as we feel lighter and more buoyant in our being! Take care of your body and provide the added physical support with tender loving care. As new Diamond Codes become available, our bodies must upshift to embody, utilize and interpret this new level of Light. This activation brings forth a powerful upgrade to our parasympathetic / sympathetic systems, organs, glands and more, as an interface with the higher frequencies of the Diamond Light is created. As we continue on this path of evolution, the continuous upgrade of our personal human Super Computer is essential. Our brains capacity to "direct" and maximize the Light is essential. Each new upgrade builds upon the previous one to provide a well functioning Divine Vehicle for our awakening. We begin by creating a strong template of light around the globe. Reconnecting to the timelines and lifetimes when we were in the presence of the many masters who have carried the Christ Consciousness on the Planet, brings a deeper understanding and embodiment of this frequency in our own matrix of Light. The Christ Consciousness is powerfully present as we pulse the living love and light frequency from our heart out into the world! Opening up to new levels of cosmic frequencies, this activation brings in a Galactic Shield and Interface, which supports the ability of your body to function at higher frequencies. As Gaia connects with her Solar Family, she activates a new binary code, which now pulsates from the core of her crystalline structures. Working with Cosmic Acupuncture, your own meridians and interface connections were fine tuned to work with this new mechanism of Light. This gives the added energetic support for humans and other life forms on the planet to receive this new interface. Even the whales, dolphins and sea turtles (among other sentient life) got in on this activation. A new plasma like interface descends into your matrix, as directed by the Architects of the Divine Vehicle, to improve your ability to interpret and hold higher Light wisdom in everyday awarenesses. A new upgrade of your Earth Star is installed and activated. This enhances your ability to receive information from within the Living Libraries of Gaia with more conscious awareness. We also spiral through the vortex of time accessing past/present/ future timelines as well as parallel and alternate realities to assist you with gaining access to the information appropriate for you at this time to enhance your skills, knowledge and wisdom from your own unique experiences throughout time and space. 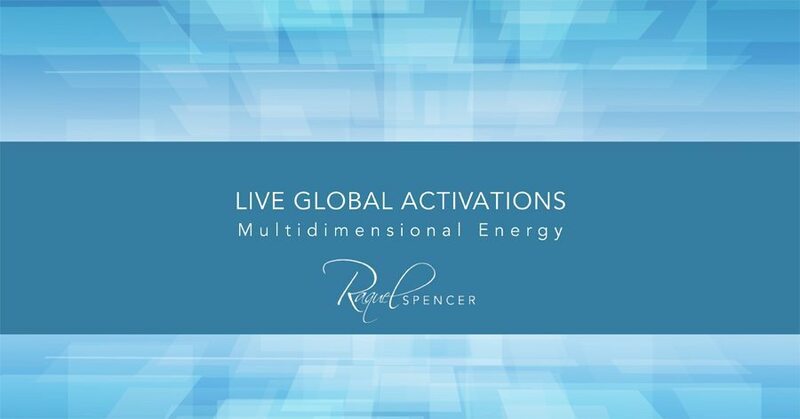 Twice a month, Raquel brings through the latest and most up to date energy activations to help you get and stay connected. Each transmission of Light helps you clear your energy and move into higher levels of frequency and consciousness. Jealousy is one of the oldest and strongest energetic patterns on the planet. Being able to recognize your on personal patterns and triggers is the first step in releasing this energetic from your life. Working within the quantum fields, this activation helps to shift, clear and re-pattern your templates of Light to release deep seated jealousy. We all have patterns of Self Sabotage which keep us from stepping into our personal power. This activation helps to remove the energetic patterns within your systems which perpetuate self sabotage. This will allow new neural pathways to form which support a more positive response and reaction. Working to strengthen your personal confidence, this activation helps clear old patterns of self sabotage. Going back through your personal time-line/life-time, we remove energetic blocks which perpetuate self sabotage. This can be listened to time and time again. Each time you feel you reached a plateau, listen again and the energy will meet you where you are at in the now moment. Toxic relationships and energies drain your personal power and lower your frequency. As you continue to raise your personal Light quotient and frequency, your ability to remove yourself from toxic situations, people and environments is essential for your happiness. 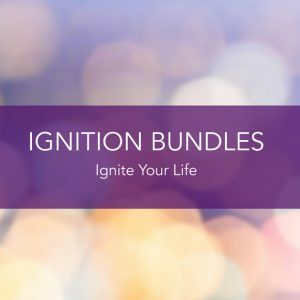 This activation assists you to release the energetic patterns that keep you stuck in less than desirable energetic giving you the courage and support needed to shift and change. This energy transmission connects you to new streams of Light information specifically designed to assist you with manifesting your life. Each day brings a new opportunity to co-create and manifest your hearts desire into your everyday reality. Being tapped into higher Light consciousness and frequencies enhances your ability to step into a new level of personal manifestation. As we awakening to our truth and cosmic wisdom, the ability to hold higher frequencies of Light are required. This activation helps you to embody, hold and utilize the energy of bliss in your everyday experience. As your Light quotient expands, your ability to live from higher levels of consciousness also expands. This activation upshifts your entire energetic matrix to utilize the breathe, prana and life-force to amplify your connection to higher streams of consciousness. Recalibrating your systems and activating sacred codes and geometries strengthens your system and ability to access your cosmic self. The cosmic feminine frequency resides within all of us. It’s a higher level of consciousness and understanding which elevates one’s ability to live and operate from compassion, cooperation and generosity more effectively. Embodying this level of energy brings you into a more centered, heart focused and compassionate space to live from. You are part of the collective whole. You are an individualized expression of the Divine. When you are able to access and connect with the Universal Web of Light which emanates from the Highest Light frequencies available to humanity, you can manifest your soul’s desire with much more ease and grace. This activation helps connect you to that universal Light stream of consciousness. This activation works to remove distorted templates of Light and energetic patterns around self-doubt, fear and so much more. These patterns contribute to the experience of lacking confidence that is being held in your grid system, in your matrix of Light. This stuck energy is in a state of dysfunction, keeping you in a pattern which reflects less than the truth of who you are. During this activation, we will remove these stuck energies and replace them with the frequencies of confidence. As you embody these new higher energies of confidence, you provide the mirror for others around you to step into a new level of personal confidence as well. Explore all the ways to upgrade your system! "Raquel is the real deal. A true gift to humanity. Raquel hands you back your power by reminding you who you are, "A Master of Light". Working with her is a familiar feeling of being home. My body is able to hold more Light. I sleep better, I feel aligned, balanced, at peace, and so much love in my heart. I have become more equipped to deal with everyday issues and the old patterns that come up and view site to be released. Each of Raquel's activations are different. As my body upgrades, shifts gears and gets rewired, my body systems become balanced. Working with Raquel, you feel spiritually alive, and on a soul level there is a recognition of being part of something bigger. With each of Raquel's activations, I have experienced my body becoming stronger, remembering who I am on a deeper level. I shine from the inside out. Thank you." Are you living from your heart or your head? Being heart centered allows you to hear your guidance easier. Here is a quick and effective technique to help you keep your heart and mind connected and aligned.